Introduced to the public as a 1988 model in the fall of 1987, Beretta was initially sold to rental car agencies for testing and evaluation purposes. 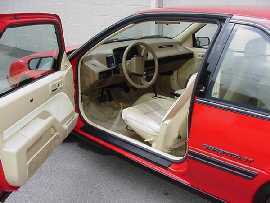 By sending to rental agencies, GM could test market the car to the public and catch quality problems. 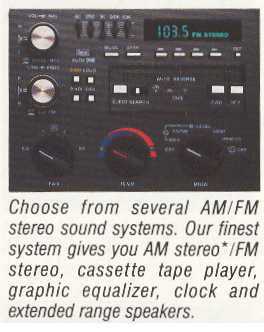 The plan worked, Public response was HUGE! 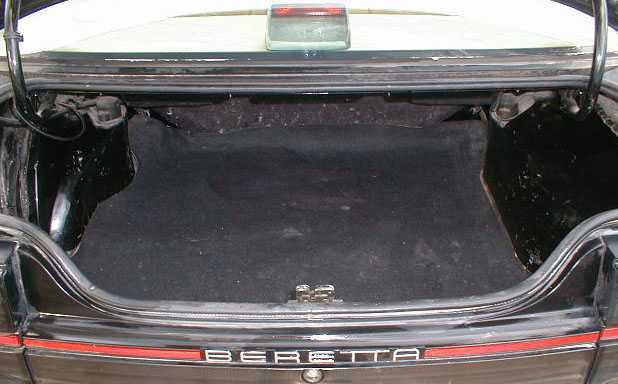 Over 275,000 Beretta's rolled out to the public in it's first year of production. 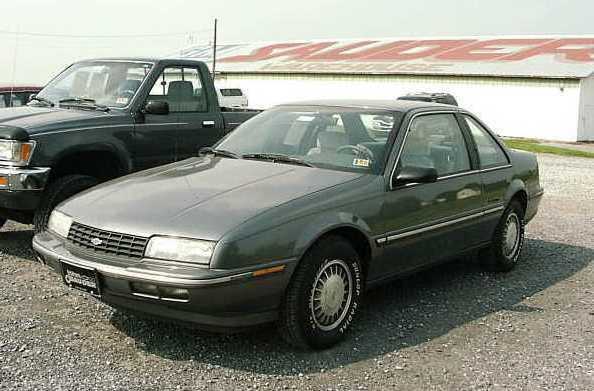 The Beretta's styling aged well in it's eight year run and benefited from its Chevy-exclusive status (body style and shape were not shared on other GM products); a rarity in the cookie-cutter world of General Motors. 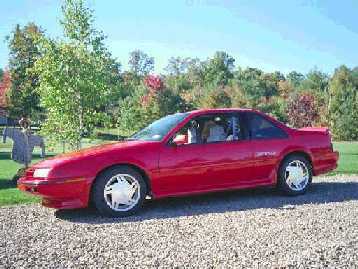 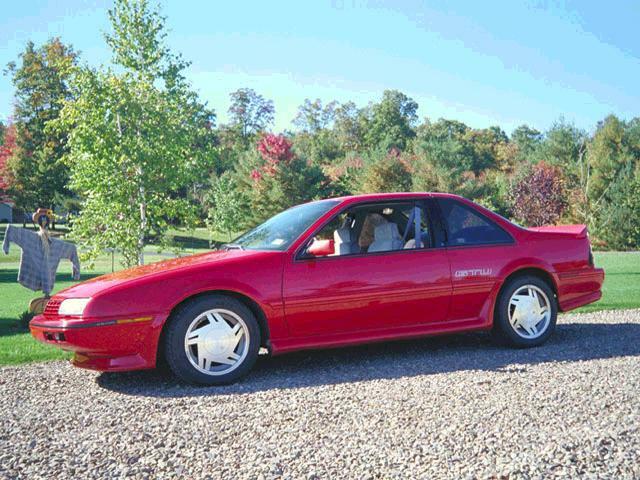 The Beretta impressed car mags as a sporty, quick coupe. 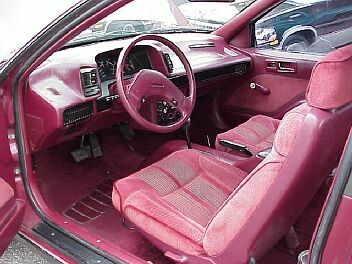 A few didn't care for the early model interior (common quote "the interior was out of harmony with the exterior"), however, its aerodynamic looks and long list of standard equipment made it a hot seller. 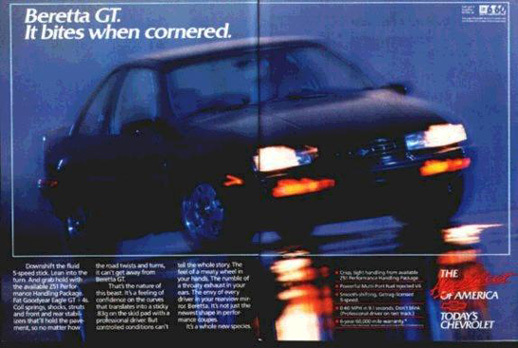 GM had a winner on its hands. 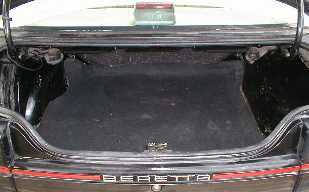 In 1988 Beretta was available in three distinct models. The Base Beretta, the Beretta GT and the Beretta GTU. 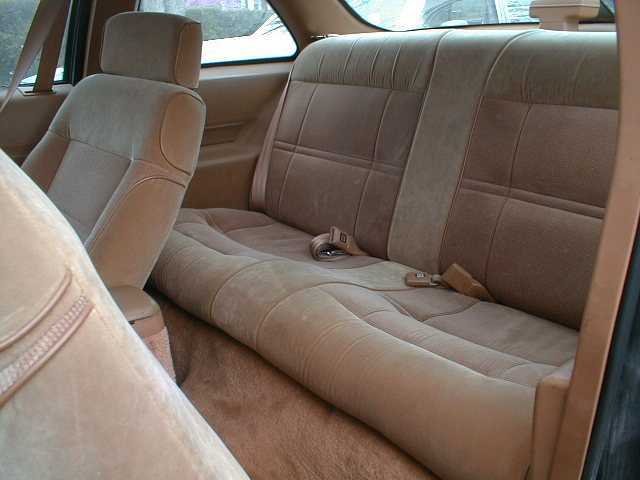 Read on to learn about each model and how they differed greatly from each other based on suspension and appearance while sharing key components such as interior appointments. 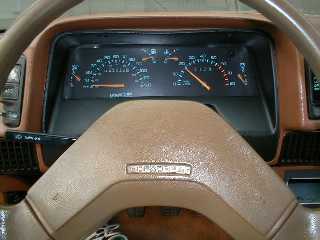 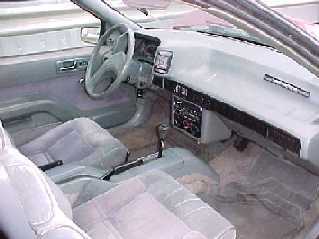 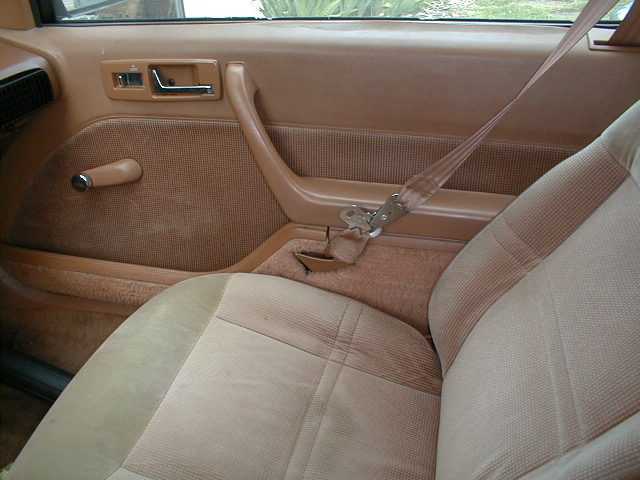 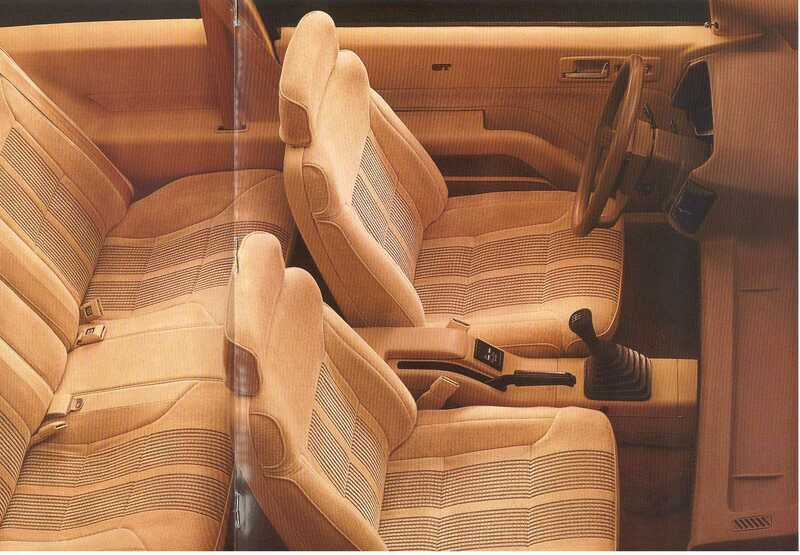 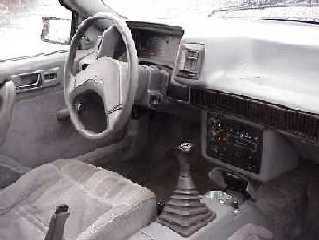 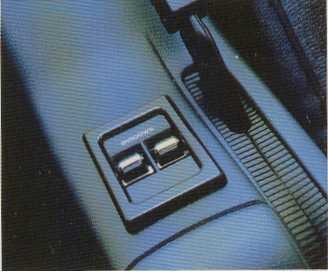 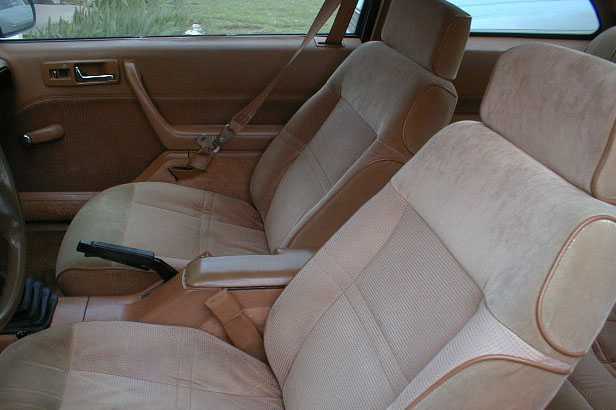 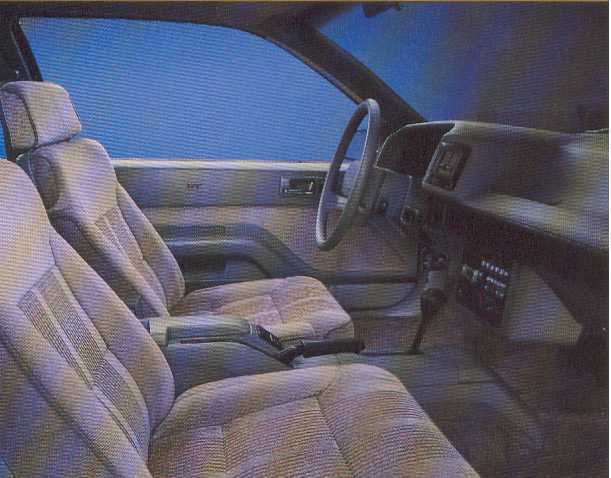 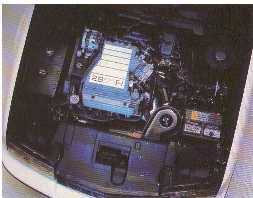 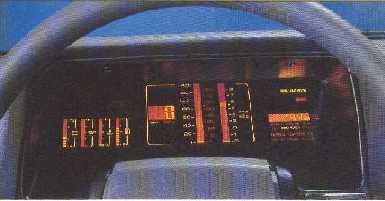 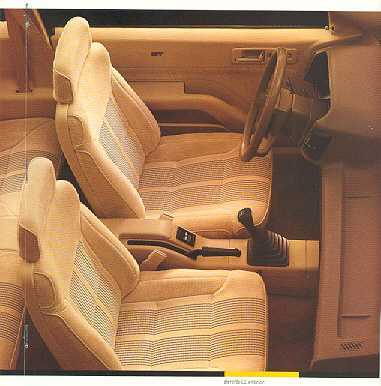 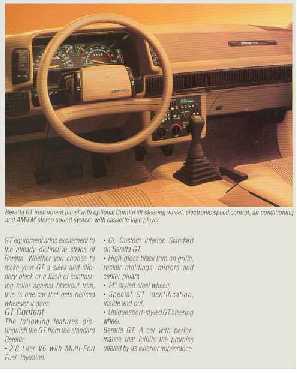 models produced after 12/87 come with door mounted seat belts, this continued until the end of the 1990 model year. Beretta standard interior with optional three speed automatic/AM/FM stereo cassette/air conditioning followed by five speed transmission/ standard AM/FM Radio/no air conditioning. 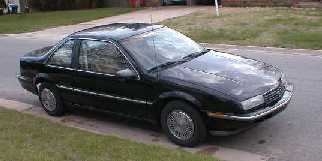 Base Beretta's (shown above with 14 inch aluminum rims) side mirrors, window trim & body side moldings were painted charcoal gray with bright accents. Beretta was available in many colors, click here to see the color palette. 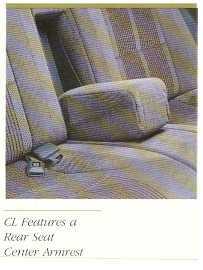 (click pic to enlarge) CL Interior Trim (short for Custom & Luxury, includes custom seat fabrics in a choice of gray, blue, maroon-as seen below or light brown, included more deeply contoured front bucket seats, red/gray center fabric trim, four-way mechanical seat adjusters on both front seats, custom door trim panels with CL identification, right hand visor mirror, pull down rear seat center arm rest). 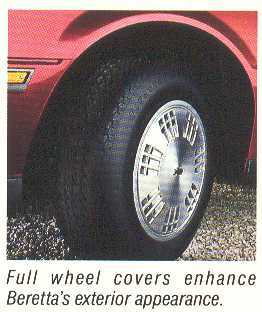 Custom two tone paint on 14 inch steel styled wheels (shown above), 14 inch aluminum wheels were also available on Beretta and Beretta GT. 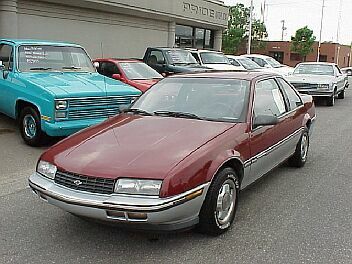 Z51 Suspension Package (only available with Beretta GT, consists of a special rally tuned system, featuring larger solid stabilizer bars, firmer bushings and performance tuned front struts and rear shocks on Goodyear Eagle GT+4 P205.60R-15 all season radials mounted on 15 inch styled steel wheels). Beretta GTU debuts, featuring unique trim, aero body panels and 16 inch alloy wheels. 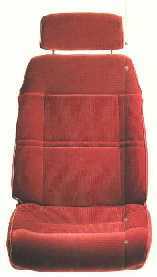 Available in white, black and red only. 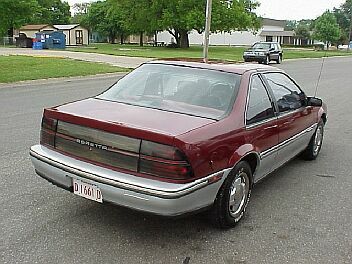 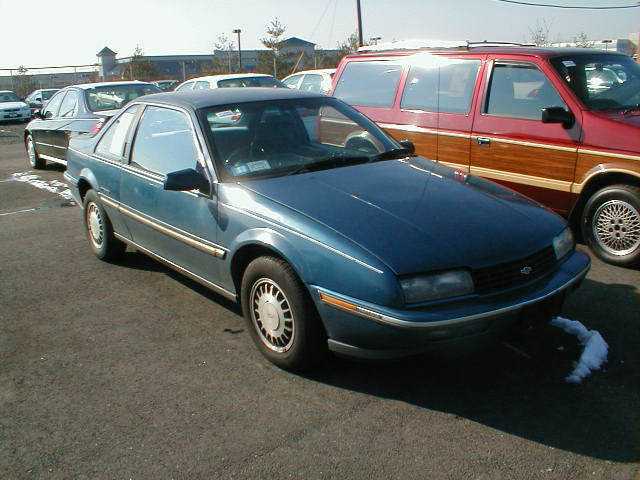 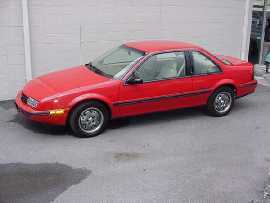 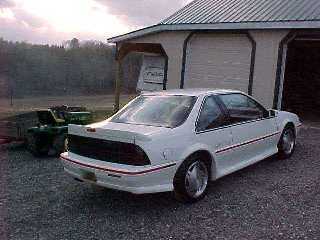 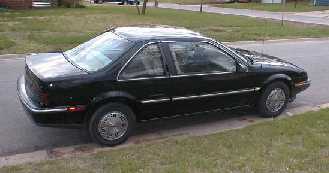 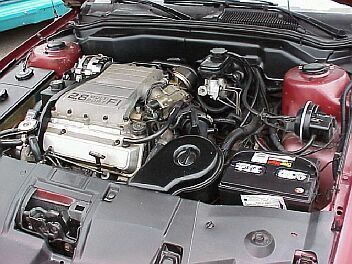 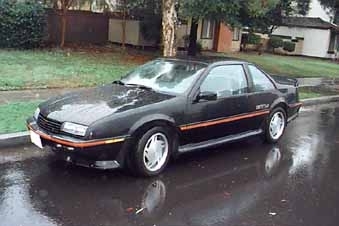 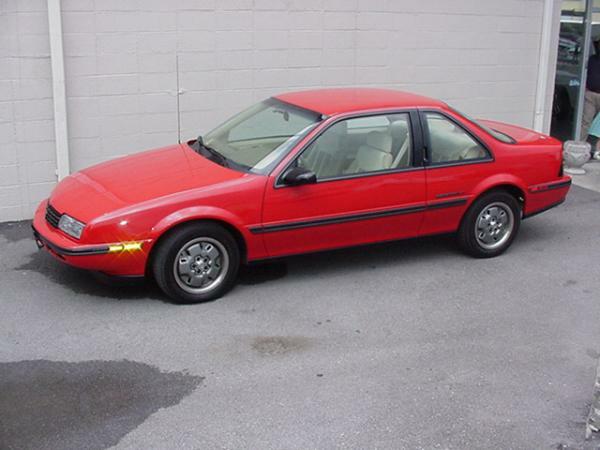 The 1988 GTU debuted late in the year, basically it was a standard Beretta GT with Z51 option plus, unique exterior trim, aero body panels, GT interior with GTU door badges, FE3 Suspension, exterior stickers and 16 inch alloy wheels & rear spolier.